YouTuber-filmmaker Casey Neistat took a three-week hiatus from his vlog channel to try out his acting chops in a forthcoming Netflix blockbuster. Neistat flew to New Orleans to film the cameo, he recounts in a vlog documenting the experience (below). The as-yet-untitled sci-fi feature is being helmed by directing duo Henry Joost and Ariel Schulman. Joost and Schulman’s previous features include the documentary Catfish, the 2016 thriller Nerve, and both Paranormal Activity 3 and 4. Their latest project is set to star Jamie Foxx, Joseph Gordon-Levitt, Rodrigo Santoro, Dominique Fishback, and Machine Gun Kelly. According to The Hollywood Reporter, the feature — whose original title was Power — is set in Portland and centers around a drug that gives people a range of superpowers, resulting in an epidemic of sorts. Gordon-Levitt will play a cop who realizes that he must take the drug in order to fight addicts and rid the product from city streets. The film is being produced by Screen Arcade‘s Bryan Unkeless and Eric Newman, who were behind Netflix’s first blockbuster film, the Will Smith starrer Bright. 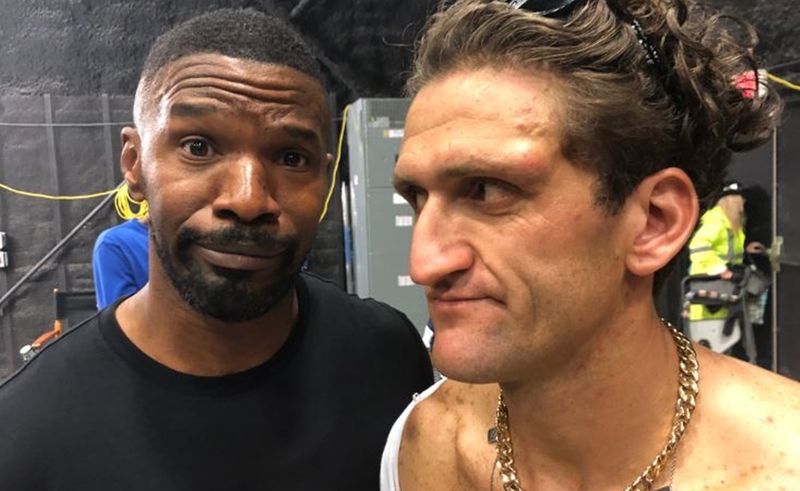 “The directors are total geniuses, Jamie Foxx is amazing, the cast is amazing, and it’s gonna be amazing because everybody involved is just brilliant,” Neistat says.